New to wearing contact lenses? We’ve got you covered. 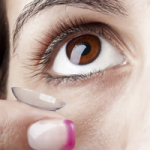 Checkout this video from ACUVUE® Brand contact lenses.